This lesson is intended as a guide to help guide users through the process of generating an AdHoc report from MICIS to match the Illuminate Data Specifications. For more information you can reach us via e-mail at, help@illuminateed.com or telephone at, (517) 224-4499. 1. In the address bar of your internet browser type "www.micis.org". 2. 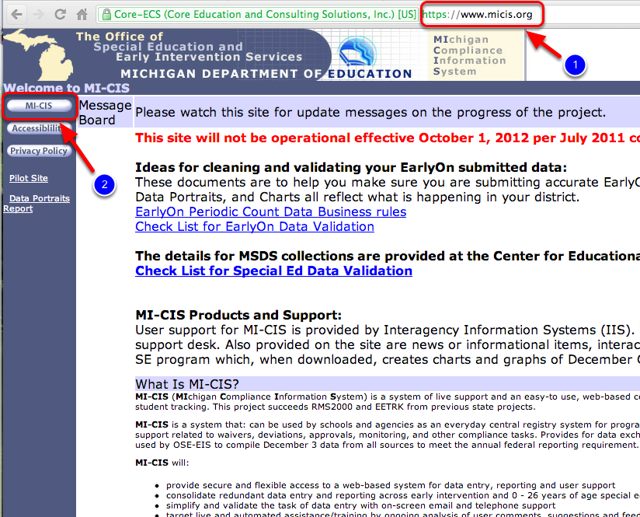 Click the "MI-CIS" button. Enter User ID, Password, and click "Log In." 1. Click on the "Arrow" next to Reports. 2. Click on the "Arrow" next to My Reports. 3. Click on "Manage My Reports." 4. Click on the "New" button. 1. Select the Output Format. 3. Select "Special Ed Active Students" from the drop down. 4. Place a Check Mark in all required fields from the Illuminate Data Specifications (should match specifications exactly with no exception). Note: For a list of the required fields please reference the Supplemental Data Specifications provided by your Illuminate data support contact. Typically, your Illuminate data support contact can also provide you with a sample header row of the fields you should expect in the order they should be along with the Supplemental Data Specifications. Please contact us if you would like us to send a sample header ro or a copy of the Supplemental Data Specifications. 1. 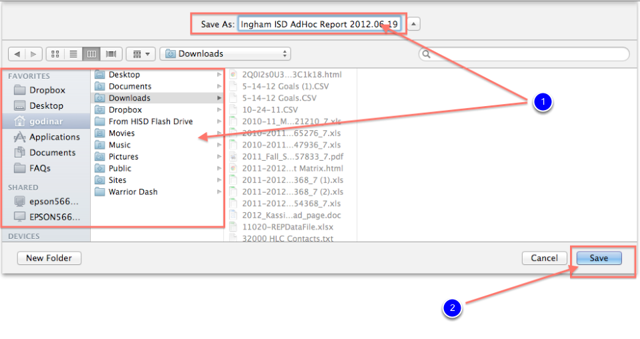 Create a folder in which to save the AdHoc report (we recommend using "Files for Illuminate" for ease of use). 2. Click the "Save" button. 1. 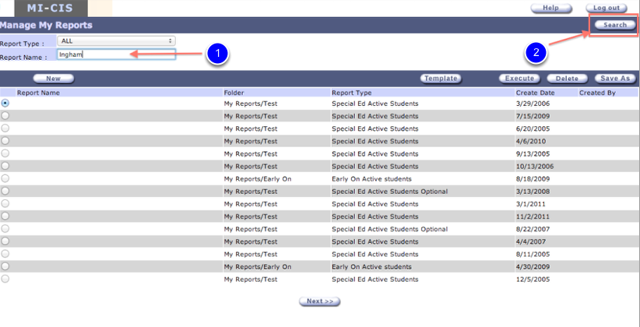 Type the name of the report or a keyword into the "Report Name" text box. 1. 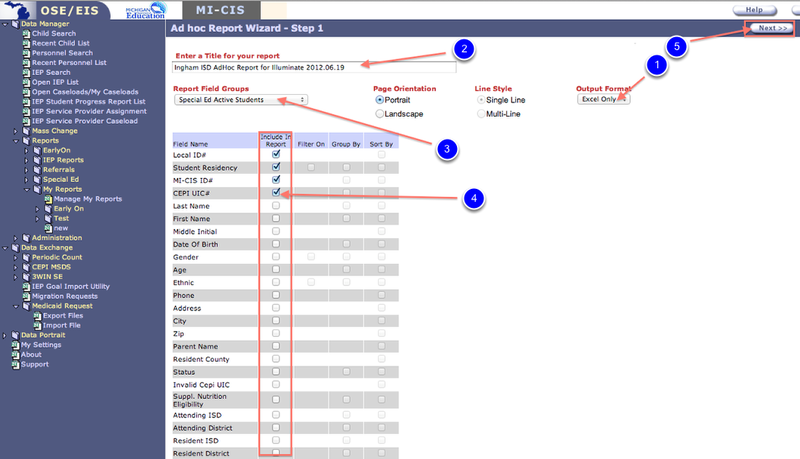 Ensure that the Radio Button for the correct report has been selected. 2. Click the "Execute" button. 1. 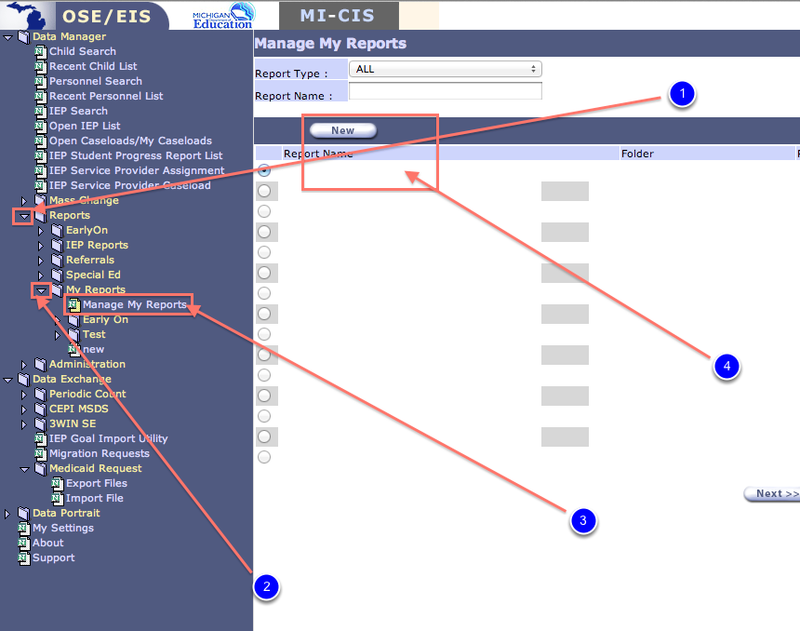 Enter the "As of Date" by either entering it into the text box or by clicking on the Date Picker Icon (for these purposes the "As of Date" should be the date you are generating the report). 2. Select the "Primary" radio button. 3. Select the "Excel" radio button. 4. Select the "Detailed" radio button. 5. Select the appropriate ISD from the Drop Down. 6. 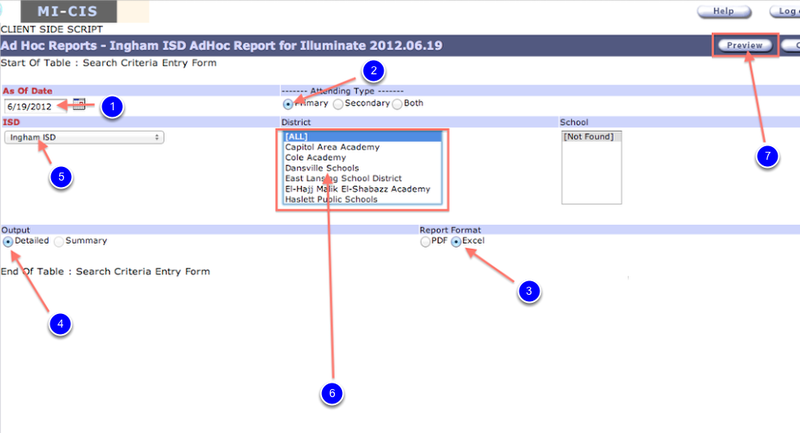 Select the appropriate District or Districts (you may also choose to pull All Districts at once into the same report). 7. Click the "Preview" button. 1. Choose a file name and location. You have now successfully generated the AdHoc report. Next, you should upload the AdHoc report to the Illuminate Secure Site via SFTP client. For additional help with the AdHoc File, uploading to the Illuminate Secure Site, or if you have any other questions please contact your Implementation Manager or Data Support Specialist. 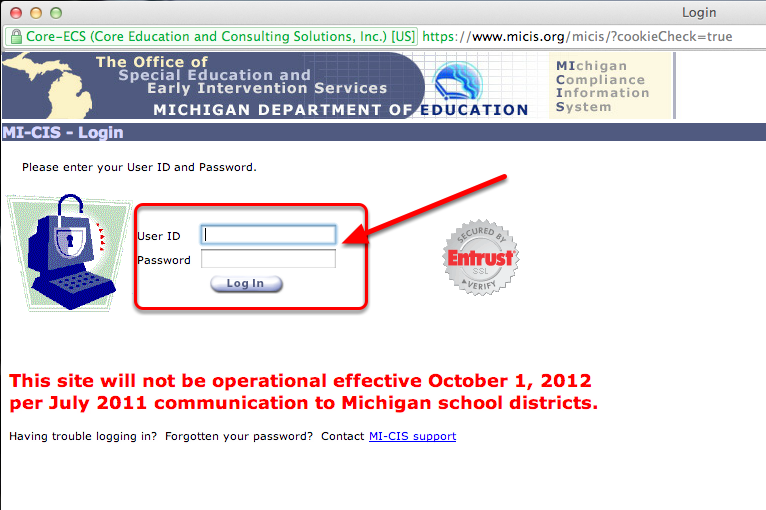 You may reach us via e-mail at help@illuminateed.com, or by telephone at (517) 224-4499 between 8:00am and 5:00pm EDT.